Ya'll... I keep thinking that one day I'm going to be totally let down by one of Christina Lauren's books, BUT TODAY WAS NOT THAT DAY! 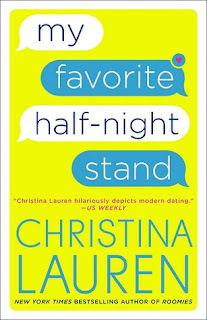 My Favorite Half-Night Stand was laugh out loud funny and had me turning pages late into the night. I absolutely loved the characters and felt like they were a mix between Friends and The Big Bang Theory. I looooooved his novel! From the very first page, I knew I was going to love Millie. What I didn't realize was how much I was going to love every single freaking character. They were all loveable and so entertaining. I enjoyed the chat convos between the group and I felt like that mixed media added a little extra something to the novel. 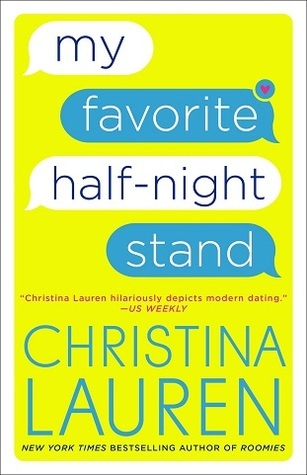 This was hands down my favorite Christina Lauren novel and I would highly recommend it. Thank you to NetGalley and Gallery Books for sending this novel in exchange for an honest review. Yes! Didn't you just want to join the group? !